When I was looking for ideas for bunting for my daughters birthday (we had a huge empty room I needed to fill) I found a couple of great ideas. 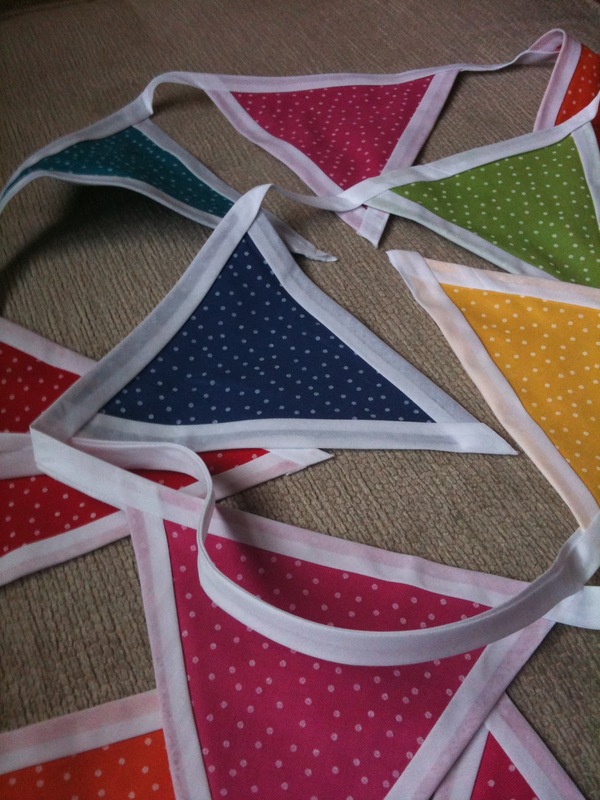 The first one which I already knew about and had tried was this brilliant no sew bunting, at the time I didn't have a sewing machine and couldn't sew so this was perfect for me. The results are brilliant and everyone I showed it to was impressed, I bought the material in a fat quarter bundle from Hobbycraft ages ago and it was just the perfect amount for the job at hand. The next was printable bunting, I found a couple of great sites which have printable bunting. The first is Ruffled Blog, the prints are gorgeous and if I end up having a 30th Birthday party I will be printing some more of these out. And then this gorgeous bunting and cake toppers from Creature Comforts Blog, they really are beautiful and perfect for a little boys bedroom or summer party in the garden. Best of all these are recyclable both in terms of using again and being just paper you can always pop them in the recycling bin when you've finished with them. There are lots of others so do have a little google to see if there is something you like for a birthday or celebration this year, it has also given me ideas on how to make my own for my sons 4th birthday this year.